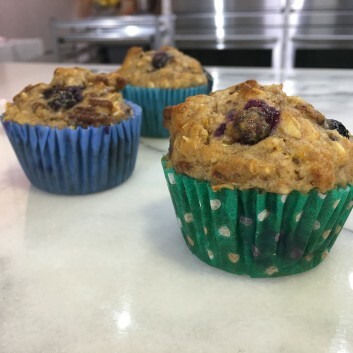 These muffins were inspired by the flavors of the Mediterranean and feature nutrient-rich nuts, dates, berries and oats. Feel free to swap in figs for the dates and use whatever berries or chopped fruit you have on hand. You can enjoy a muffin plain with a side of scrambled eggs for breakfast or spread on some peanut butter for a satisfying snack. Preheat oven to 375˚. Coat a standard muffin tin with oil spray and set aside. In a mixing bowl, add and combine dry ingredients. In a separate bowl, add and combine wet ingredients (except for boiling water). Add wet ingredients into dry and combine well to create batter. Stir in chopped nuts. Fold in chopped dates and berries. Stir in boiling water and let batter stand 15 minutes. Spoon batter into 12 muffin cups, and bake for about 20 to 22 minutes or until muffins spring back when touched lightly in center. Remove from oven, let cool and enjoy plain, with some peanut butter or jam. NOTE: If you don’t have buttermilk, simply mix 1 cup low-fat milk with 1 tablespoon of lemon juice or white vinegar and let it sit for 10 minutes (you’ll notice it starts to curdle). For dairy-free muffins, use the same trick but swap in vanilla almond milk instead of skim milk. If using frozen berries, make sure to keep them frozen and add to the batter at the very end. Fold them gently into the batter so the color doesn’t bleed into the muffins. Want more muffins? 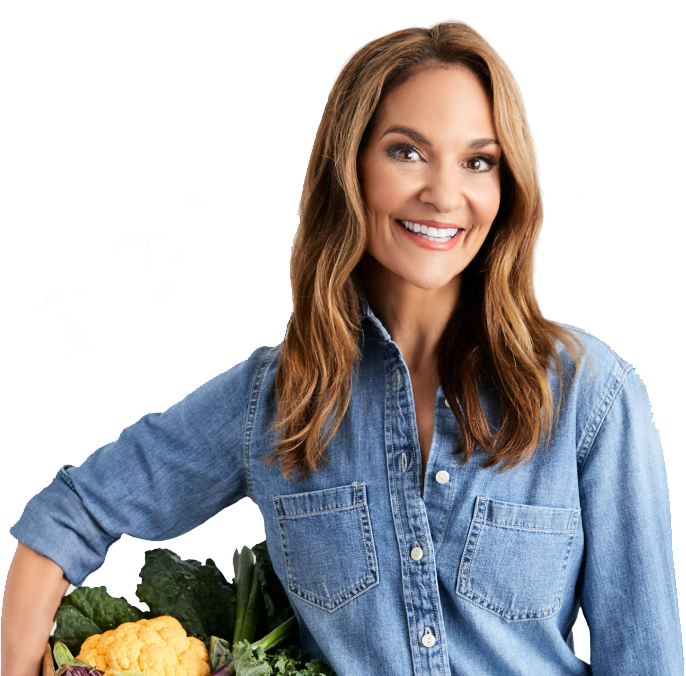 Try my Chocolate Protein Muffins and Mediterranean-Style Muffins.